The 6 ft. Lifetime Wave Kayak is specifically designed for kids ages 5 and up, or up to 130 lbs. The wide stance provides a stable paddling platform to keep your child safely in the kayak. 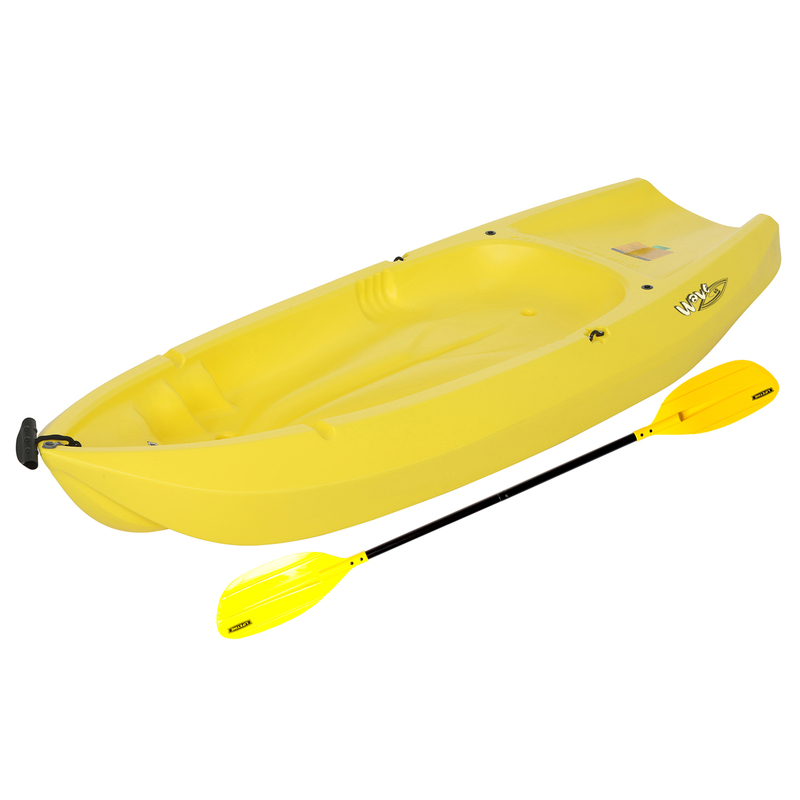 Its sloped back end and swim-up step allows the rider to easily re-enter the kayak from the water. With scupper holes, multiple footrest positions, and great stability, the Wave is perfect for kids recreational kayaking. Tbook.com crawls the web to find the best prices and availability on products like Lifetime, 6', Youth Kayak, with Bonus Paddle, 90154. This product is one of the more popular items we list which is why it is in our "hot deals" section. If you have any questions on this product, please give us a call at 734-971-1210 during the hours of 9am - 5pm EST for assistance. Thank you for shopping at Tbook.com, the Internet Department Store!